The last (and only other) time that I was published in Tygodnik Powszechny (Catholic Weekly) was in the commemorative issue marking the death of Henryk Mikołaj Górecki five years ago. 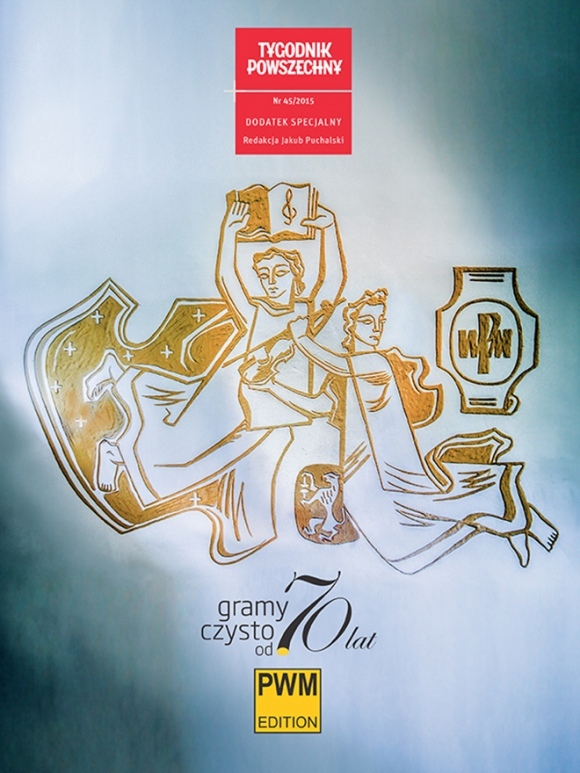 I’ve just been alerted to a new supplement dedicated to the 70th anniversary of the founding of the Polish Music Publishers PWM. Its anniversary concert next Wednesday includes the world premiere of Górecki’s Sanctus Adalbertus (1997) and Tygodnik Powszechny have evidently been given the relevant part of my programme note. It is the final item in the supplement, which includes articles by Małgorzata Gąsiorowska (the Bacewicz expert and author of a new book on PWM), Beata Bolesławska-Lewandowska (the author of books on Górecki and Panufnik) and the music critic and cultural historian Jakub Puchalski.